Snell Golf burst on the scenes back when it seemed like the straight to consumer ball market was really taking shape. Just a few short years later, most of those companies are gone, and yet Snell has been able to not only stay in business, but also gain a strong following in the process. 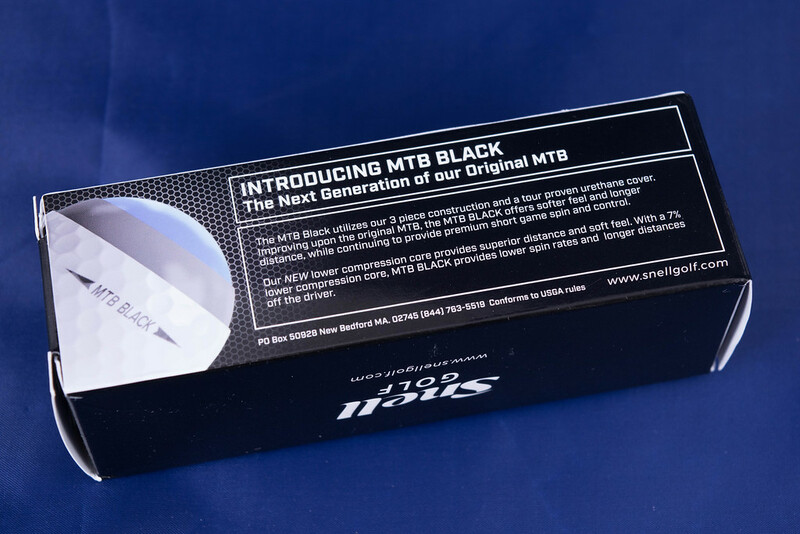 In 2018 the company has grown and has finally released the long-awaited update to the original My Tour Ball, the MTB Black. A NEW 7% lower Compression Core maximizing distances by lowering spin off the Driver. Dean Snell is a name that might not immediately resonate with a majority of golfers out there, but the products he helped develop during his 25 years at TaylorMade and Titleist certainly will. During those years, he was part of a team that created golf balls such as the TaylorMade TP Red, TP Black, Penta, and the Tour Preferred Line. During his tenure at Titleist, he is recognized as a co-designer of the original ProV1 golf ball. So, while many might not instantly recognize the name Snell, they certainly should be familiar with those products. Being a man behind the scenes for so many high-quality releases lends to one belief, that Dean Snell knows how to make some of the best golf balls in the business. With all of his knowledge and patents, over 40 of them, Dean launched Snell Golf in 2015. Building upon the success of the original My Tour Ball is something that Snell took very seriously. Undergoing this process has taken over 18 months to try to get the right combination of materials to manufacture a ball that fits the needs of their customers. Now for most companies, that might sound like some marketing speak, but with Snell Golf, the reason this 2018 lineup has been made the way it is, is because of the feedback offered by amateur golfers. Based on responses given from customers, Snell saw the opportunity to make improvements to the original MTB in many ways. 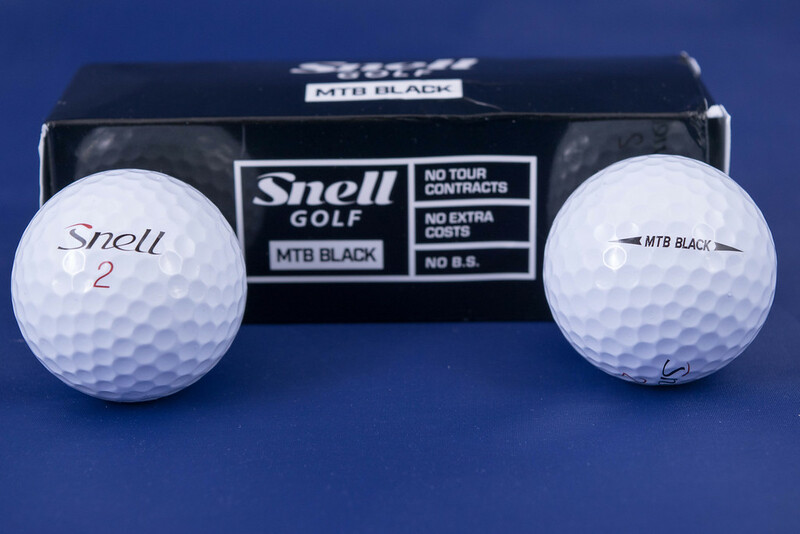 As for improvements to the original MTB, Snell created the MTB Black, which is a ball that would produce a little less spin off the driver, but keep the same playing characteristics in the other facets of the game. There were golfers who asked for a golf ball to have a little more spin on irons and around the greens, so the MTB Red was created, and it is available in a yellow finish. For the purpose of this review, THP will take a closer look at the new MTB Black. 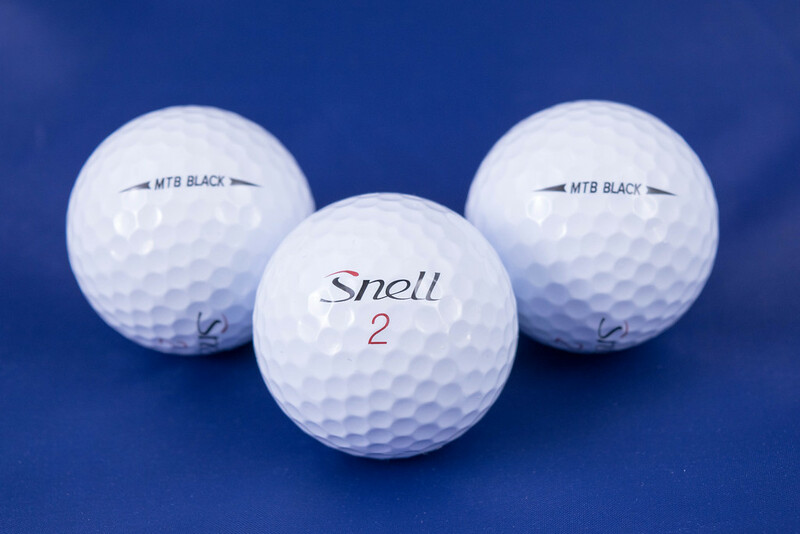 Even though they are not a ball that cannot be purchased at pro shops around the country, the original Snell MTB became very popular. It was a ball that offered performance that could rival, or surpass, many of the well-known tour balls, and could help golfers keep up to an extra $20 in their pocket. As the brand seemingly got more and more attention, it became time to look at multiple offerings, and that is what happened with the 2018 lineup. For the golfer who wants/needs more spin, the MTB Red was created, and for those who just wanted a newer version of the ball they fell in love with, the MTB Black was formed. In terms of spin, this ball is going to spin less than the MTB Red, but since that ball was not in hand during testing, the spin characteristics were compared to the two balls that are normally in the bag, the BX and BXS. One could argue that those are not Tour balls, and that is certainly correct. However, being a tester that carries a swing speed that hovers right around 100 MPH, those two balls have shown to be very good performers. Obviously, when it comes to comparing golf balls it is a good idea to test against a ball that one is comfortable with and one that gives a predictable performance, and that is what those balls represent. Before diving into some spin numbers, just a reminder that while a ball is designed to offer more or less spin, the biggest variable is going to be the golfer. Hitting the driver is fun, at least when it goes straight, but according to Dean Snell, it is not the best way to test a golf ball. Instead, players should look at the testing on the putting green, inside 100 yards, and then step back to test out some mid iron shots. Going along with this philosophy, there was a more discernable difference in the spin rate between the MTB ball and the “spinier” designed golf ball. With a sand wedge in hand, attempting a 100-yard shot, the MTB Black produced just over 500rpms less than the BXS. Comparing to the BX, the MTB did spin slightly more, around 200rpms extra, providing just slightly better-stopping power. When moving to an 8-iron, the numbers tell a similar story, with the Snell golf ball coming in around 400 RPMs less than the BXS. Based on the data that was gathered on a Foresight GC2, it proved that the Snell ball certainly hits that spin profile that Dean Snell details. As one would expect from a tour caliber golf ball, the urethane cover not only helps this ball spin and check around the greens, but it also provides that nice feel off wedges and the putter. When putting with a milled faced putter, the tone is not really one that is to be considered deep, but it’s quiet enough to avoid being termed as “clicky”. Overall, in the short game area there isn’t anything negative to say about how this ball will feel off the face, or react when heading into a green. Those players who would prefer and benefit from a higher spinning ball might gravitate to the MTB Red. 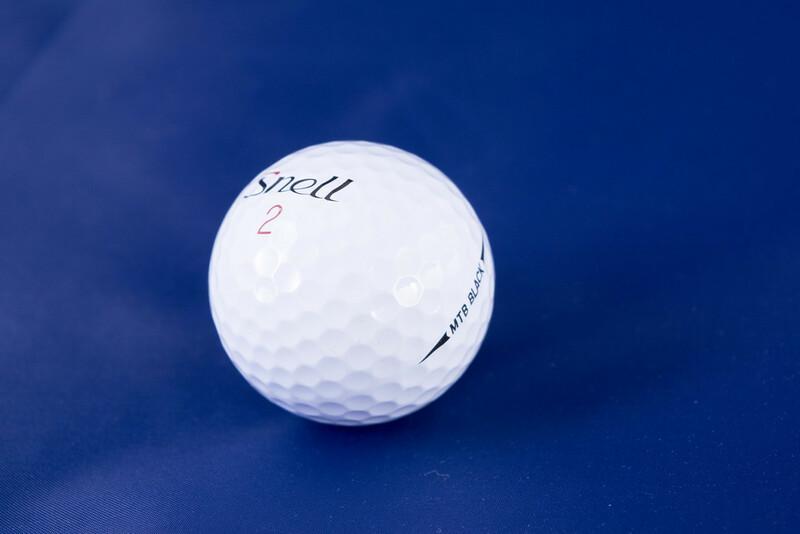 Snell golf has done a lot of things right, and perhaps that is one of the biggest reasons that they are still around while other straight to consumer ball companies have closed up shop. Being that they do not sponsor any tour players, their most important and influential client is the everyday golfer. Their 2018 offerings are the most complete lineup that they have brought to market. Even though the MTB Black is going to be similar to the original MTB, it remains a ball that is able to go toe to toe with the premium tour balls on the market, only for much less. Snell’s MTB Black and MTB Red can be purchased for $31.99. More information, including a way to create one’s own trial pack, can be found at www.snellgolf.com. Excellent write up Dean! These are definitely what I’ll be gaming when my current stock run dry. A fantastic golf ball at an excellent price. distance off the tee. Seems like a custom trial pack would be the smart move for me. Nice job Dean. Snell has done such a good job of offering a great product and making affordable. I don’t think there is a better value in golf than these offerings. Excellent review Dean. Was a big fan of the original, so I think the Black will probably be my best fit. Will go trial pack at first though to make sure. Thanks for the review Dean. Good review and a ball that should be perfect for a lot of golfers. Already have the new black MTB in play & having played the original MTB at the kickoff classic, Dean has done a great job in the improvements on this years line. I love the trajectory & distance it provides. I am interested in seeing the Red side by side though, especially into the greens. i still live the original my tour ball, but i’ll definitely pick up a test pack of the 2018 lineup. snell as a company is a great story to get behind, and the leadership at the top is a great group of guys. I am big fan of the original MTB. I will be getting a dozen or so of the Black soon. Thanks for the review. Nice write-up Dean. I have the test pack and I’m excited to compare the two balls. As someone who has played the BXS, I appreciate the spin numbers as it gives me a good insight into the performance comparison between the two balls. As a player of the original MTB since it came out, I am very excited to try the new Red and Black balls. Currently using the test pack to get a better idea of both new balls. With limited trial period I found the Red to have slightly more spin around the greens on chip and pitch shots, but otherwise pretty close to each other. Need more time, and better weather here in New England, to refine my opinion though. For the money you cannot find a better ball in my opinion and their customer service, always a signed thank you from Dean, is terrific. Keep up the good work on ball design.